Monday, Oct. 15, 2018, 12 – 12:45 p.m.
Join UW Transportation Services, UW Sustainability and The Whole U for a unique mid-day sojourn across the Seattle campus! 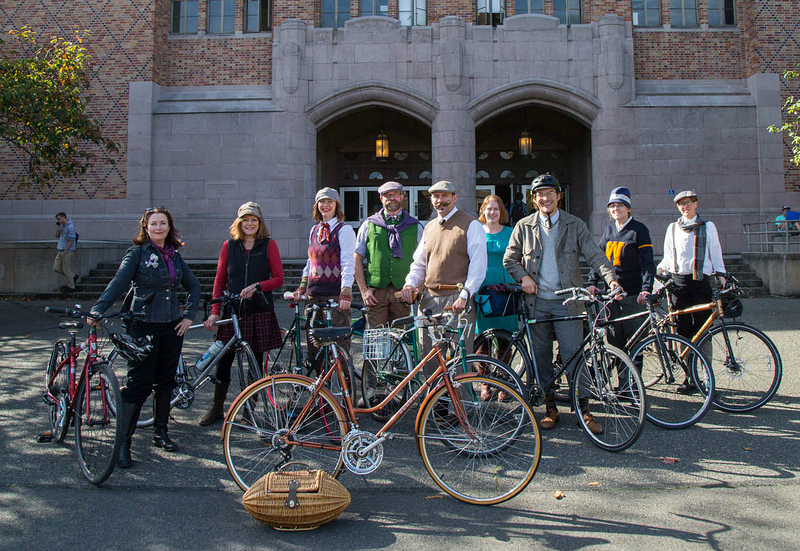 Attire yourself in something timeless and tweedy and join the group to tour around our rustic campus by bicycle. The ride will begin at Hansee Hall at noon, and the tour will take around 45 minutes. Open to all, especially UW students, faculty, staff and alumni. Register via Whole U here: bit.ly… (NetID required) or send an email to sustainability@uw.edu.